Madrid Archbishop Antonio María Rouco Varela announced the extension of such authority to more priests in a statement on the archdiocese's website, saying the move was made in hopes that "all of the faithful who attend the celebrations of the 26th World Youth Day in Madrid can more easily attain the fruits of divine grace, that the doors to a new life open for them." The church has set up 200 confessional booths in a Madrid park for priests to hear confessions in. 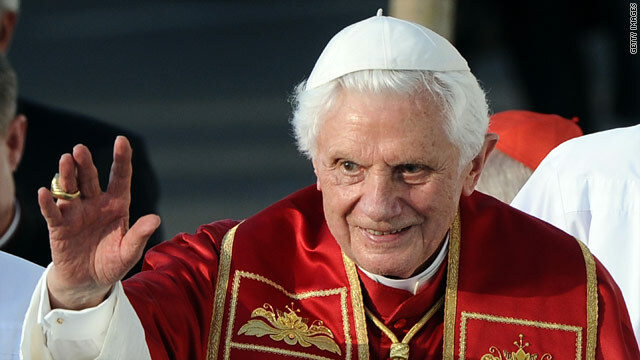 Benedict’s Spain visit coincides with a weeklong series of religious events that the Roman Catholic Church organizes every three years. Lombardi said that the Vatican often extends authority to absolve certain sins and to lift excommunications at big papal events. Any woman who knows that the church considers abortion a sin and goes through with the procedure is automatically excommunicated, Lombardi said. "This is not only for women," Lombardi said. "If a man has given the pressure on the women to do an abortion then he's guilty in the same way." A spokesman for the Catholic Church in Spain said that the extension of priestly authority around abortion applies only to priests who are in the Madrid archdiocese for World Youth Day festivities. On Thursday the pope was greeted by a large crowd of followers, including youths from all over the world, but his visit was not without controversy. With Spain suffering a deep economic crisis and nearly 21% unemployment, the amount that the pope's visit is costing the country has been top news in recent days. The pope arrived in Madrid as protests took place in the city over that cost. The economic crisis has previously sparked protests in the country. - CNN's Al Goodman and Mariano Castillo contributed to this report. Check your sources. This is not the whole story and it makes the CC look ridiculous. Jesus Christ died for all our sins and when he gave the apostlespower to forgive sins, there were not categories reserved for Peter. God is compassionate and merciful. So, you are forgiven if you can confess in Madrid between the dates of August 15-22. Otherwise, excommunication and eternal damnation. Sheer lunacy. Since when did a man reserve the right to absolve men of sin. 2000 years ago, only Christ did this through the New Covenant Passover, which the catholic church does not even keep. This is a practice that they have never kept, nor do they worship God on the correct day, on Saturday which God kept...but the church does not. Carl Jung outgrew Freud. Jung said "God is present, bidden or unbidden." Jung wrote against what he called "the rediculous materialism" of the psychologists of his day. The Church does what is right. The Church id forever. You can buy your way out of Hell for having an abortion how's that?